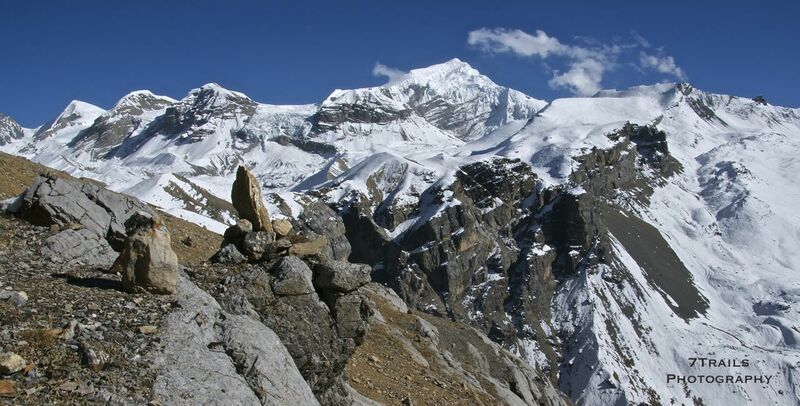 Nepal is a magnet for trekkers looking to explore world’s highest mountain range. 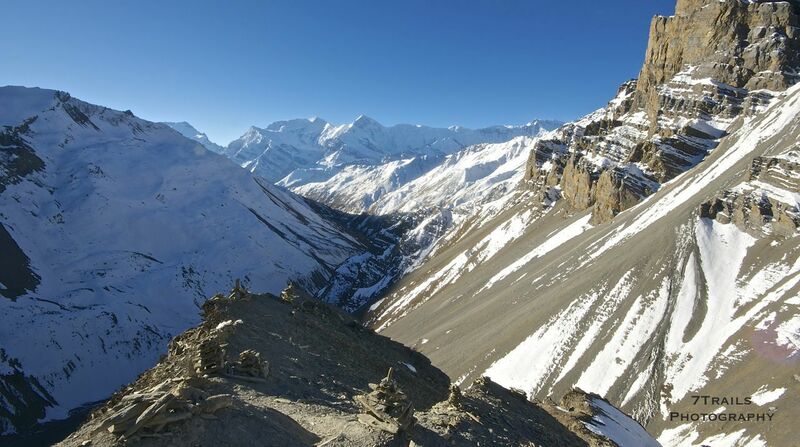 The Annapurna Circuit has for decades been the crown jewel of Himalayan trekking and the area continues to draw more visitors than any other trekking destination in the country. 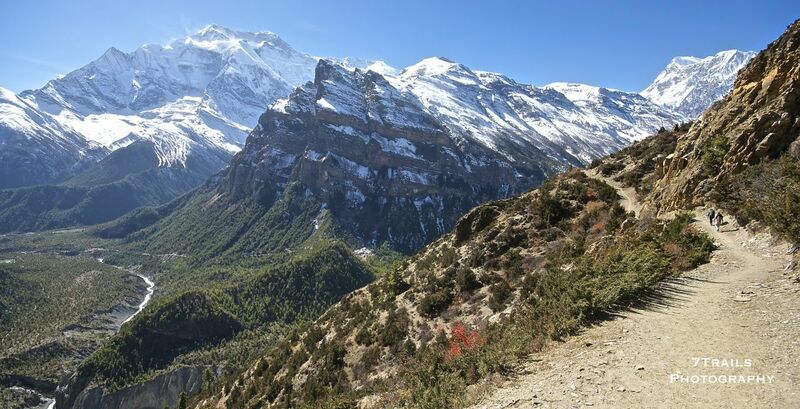 As I found out over 18 days in November, despite development in recent years that has encroached deep into the heart of the Annapurna region, the trek remains an essential experience that provides a magnificent tour through a wonderfully beautiful landscape. Maps of all the major treks are readily available throughout Nepal. In Kathmandu, the Thamel area (the main tourist section) is rife with bookstores and other shops stocked with numerous maps on the Annapurna Circuit. Shops in Pokhara, Besi Sahar and every other major city you are likely to pass on the way, along with most of the minor ones as well, have a similar range of maps. Prices begin at around 400 Rupees ($4), although prices vary significantly depending on which map you choose and which city you are in. If you want to get an early start on your trek planning and don’t mind paying extra for the privilege, the map I used on my trek is available here . The primary trekking guide for hikers in Nepal is Lonely Planet’s Trekking in the Nepal Himalaya . 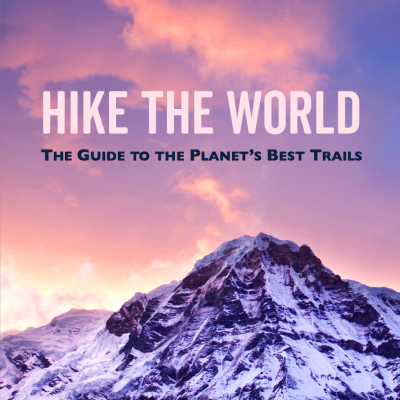 The book contains comprehensive descriptions of 30 major treks, including basic information on getting to and from the trailheads, hiking times to major landmarks, as wells as a bevy of interesting cultural and historical information. The major weakness of both the Lonely Planet guide and the available maps is the lack of distance information. The book and most maps have estimates of hiking times between major trail landmarks but rarely provide distance information. The absence of absolute measures of hiking distance leads to significant uncertainty in determining hiking times. The actual hiking times for members of my group ranged from slightly more than the suggested times on some sections to around one third of suggested time on other sections, depending on the conditions and the hiker. Absolute distances between landmarks would be much more helpful for estimating hiking times. The high season for trekking in the Nepal Himalaya is October through November. Although quite cold at the higher elevations, the high season has the most sunshine and the least amount of precipitation. The shoulder season can extend until May, but the high passes, including those on the Three Passes trek, are typically closed in Jan-Feb. These are only guidelines. Keep in mind that any trip into high altitude is risky. Just days before I began my Three Passes trek in mid-October, the tail end of a massive cyclone hit the Annapurna Circuit’s Thorung La and killed over 30 people while stranding nearly 300. It is essential to be aware of the local conditions no matter when you decide to do your trek. The weather for my trip around the circuit was excellent. We had some light rain early on the first day and then clear skies the rest of the way. 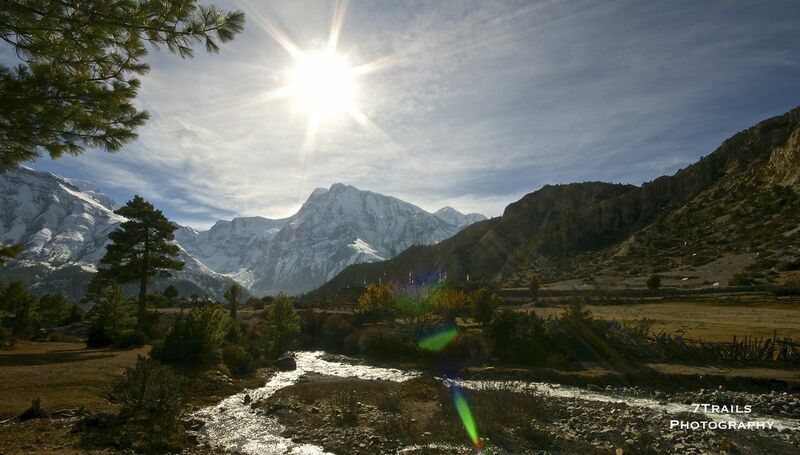 Except for one night at Annapurna Sanctuary, the Annapurna region was noticeably warmer than the Three Passes trek. This is a personal decision. You don’t need either a guide or porter for the Annapurna Circuit trek. The trail is very well traveled and easy to navigate. That said, porters and guides can make life easier by taking some weight off your shoulders and erasing even those few instances of momentary indecision about the choice of route. The trail is reachable by bus either directly or indirectly. The direct route involves a 8-hour local bus ride from Kathmandu to Besi Sahar for 450 Rs ($4.50). The indirect route goes through Pokhara, the major transportation hub for entering and exiting the Annapurna region, and then catches a local bus for the last several hours to Besi Sahar. 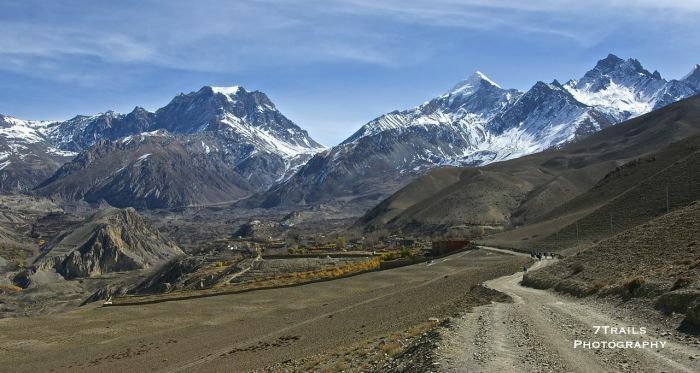 The original trailhead was in Besi Sahar, however now that a dirt “road” has been completed well into the interior of the Annapurna region along the trail route, few hikers start their journey there. Jeeps are available in Besi Sahar that will allow you cut off several days of road walking. On the other side, the trail ends at Nayapul. Buses and taxis are readily available to trekkers between Nayapul and Pokhara. 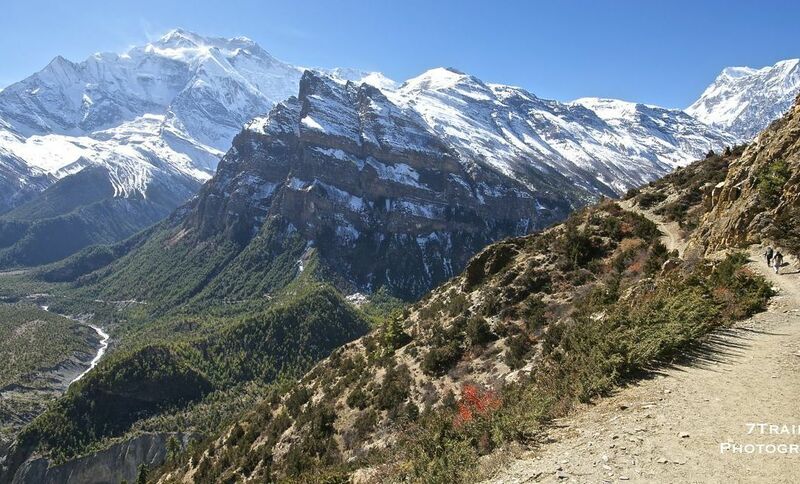 The road from Nayapul has been completed all the way in to Jomsom, which allows for road travel to within a half day’s hike of Thorung La. Teahouses line the entire trek so you don’t need to bring much food or equipment compared to a backcountry trip. The teahouses offer beds and have rudimentary kitchens that serve nearly identical menus of dal baht, noodles, rice, pasta, pizza and tea. The dal baht, despite being priced a touch higher than other entrees, is a favorite because you get a huge second serving. The extra calories are priceless after a long day on the trail. A night in a teahouse costs anywhere from free to 250 Rs ($2.50) on the condition that you eat dinner and breakfast in the teahouse. The price for a night stay can jump to as high as 1,200 Rs ($12) if you choose to bring your own food or eat in another teahouse. I recommend bringing a sleeping bag. The nights get cold and the bedrooms are never heated. Even the common rooms on the Annapurna Circuit are not always heated. Blankets were generally available and, unlike with the Three Passes trek, usually for no charge. Bringing a few snacks to take the edge off is also advisable. Prices on food, and everything else, climb gradually as you gain altitude and can be more than double at the highest teahouses (500-700 Rs per meal compared to 200-400 at lower altitudes). The teahouses only take Rupees so you will need to bring a significant amount of cash. I heard that budgeting $10 per day is possible, but found that $15-$20 is a more reasonable amount. ATMs are readily available in Pokhara, but the only one found on the trek itself is in Jomsom. These typically limit withdrawals to 10,000 Rs ($100) and have fees of 400-500 Rs ($4-$5). I didn’t find crampons, ropes or other technical gear necessary at any point on the trek. I went during the high season so this would clearly change under less favorable conditions. You can get anything you need in Nepal, whether you need to rent or buy. If you do shop for trekking equipment in Nepal, though, beware of the knock-offs. They can be fairly convincing but the quality is poor. I’ve heard that the knock-off jackets and sleeping bags actually perform fairly well. However, after putting over a thousand miles on my beloved Merrell Trail Gloves over the last year, I opted to purchase a replacement pair of Solomon running shoes in Kathmandu before I headed out on my Three Passes trek. Despite my close inspection before purchasing, they literally fell apart just a couple days into the trek. Fortunately, I was able to purchase a legitimate replacement pair before it was too late. The Annapurna Circuit requires both a Tourist Information Management System (TIMS) card and an Annapurna Conservation Area Project permit. These are available from separate offices within the Nepal Tourism Board building in Kathmandu near Thamel. The TIMS card is issued by the Tourist Service Center (“TSC”) for 2,000 Rs ($20). The Department of National Parks and Wildlife Conservation issues the ACAP permit for the same price. The park entry permits are also available as you enter the parks, although prices may be higher there. A member of my group was able to get hers in Besi Sahar for 2,000 Rs. Each requires a passport-sized photo, so bring several with you when you go to get the permits. If you are planning multiple treks, you will need to buy a separate TIMS card for each trek. One of the most fascinating aspects of this trek is the interaction with the local community. 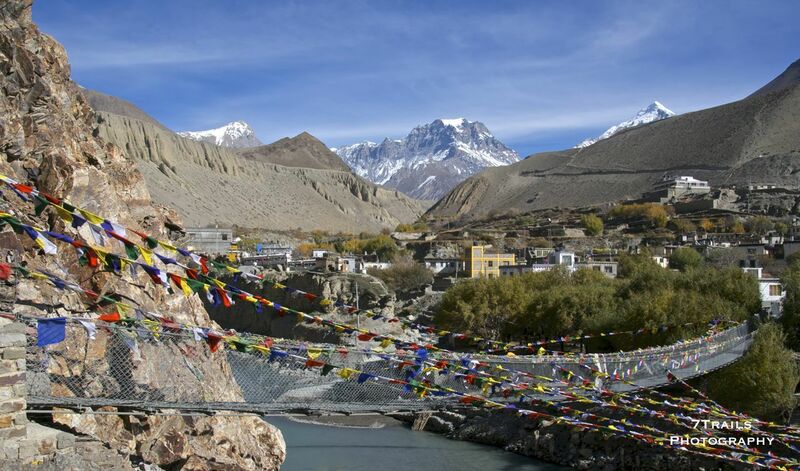 The trail is covered with small mountain villages and their associated stupas, prayer flags, mani walls and prayer wheels. 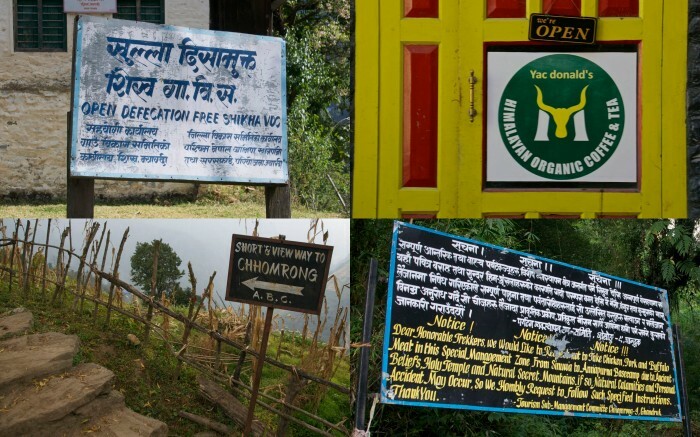 These elements of local culture make for an interesting trekking environment but also offer an opportunity for the unaware trekker to offend. A common way this comes up is at the stupas and mani walls that often split the trail. According to local custom, walk clockwise (to the left) around any religious markers that lie on or near the trail. From hilarious to baffling to mildly threatening, the signage on the Circuit is a constant source of amusement. The treks are generally quite safe. 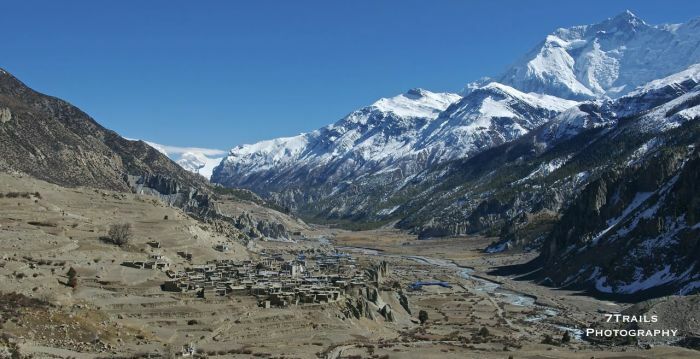 The only significant negative experience I had on any of the my three treks occurred in Manang on the Annapurna Circuit. While staying in a teahouse, someone entered my locked room and, after searching through my bag and that of my hiking buddy, stole most of the money from my bag. From what I gather, this is a fairly unusual experience. Beyond petty theft, the trail itself can pose a threat to safety. The trail is travelled by more than just trekkers, guides and porters. Hundreds of yaks, cows and donkeys make their way up and down the trail every day. Not just a colorful curiosity, these often large trains of massive animals can be a serious danger on the narrow trails. Hikers have been hurt and even killed when they have been pushed off the downhill sides of the trail. Always stand on the uphill side when letting yaks and donkeys pass. 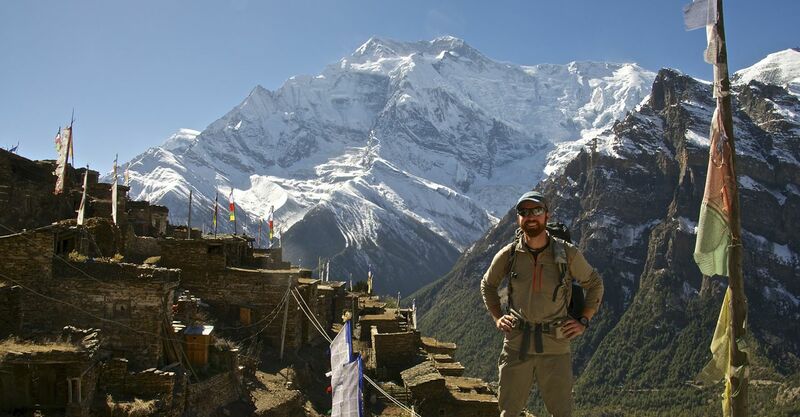 That’s all I have on the Annapurna Circuit. Shoot me a comment if you still have questions or think of something I missed. Your experiences are to be envied by us Mainlanders. Hope you could arrange each of your trips into 25 minutes so you can be our program at Rotary for two months. Definitely would be happy to share with the Rotarians. I think we can make something like that happen. Let’s talk when I get back. Hi there! Thanks for the tips! We are wrestling with whether to get a guide to Advise on altitude sickness and the high pass. Any tips for avoiding? Do you think guides really help to sdvise on pace? Going in next two weeks! Thanks!! A guide isn’t really necessary for the Circuit. They can add interesting local color and are a good way to support the local economy, but the hike is certainly manageable without one. Thorung La is the only major high-altitude pass on the trek and the tea houses leading up to it are well spaced to allow for easy acclimatization. 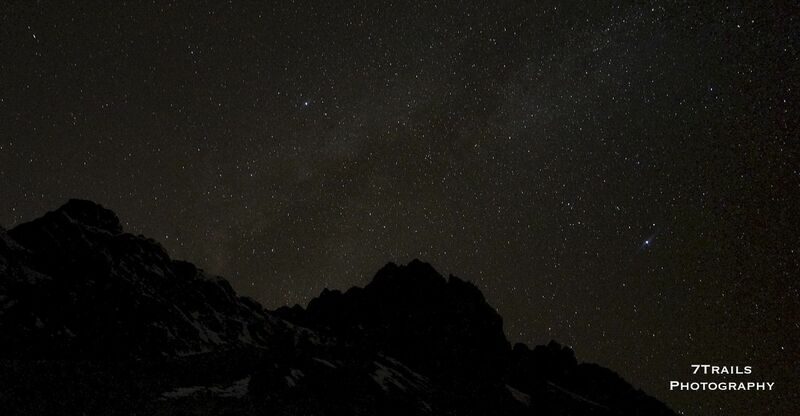 The typical rule of the thumb for acclimatization on a trek like this is that, above 2,500 meters or so, you should not spend the night more than 500 meters higher than you spent the previous night. – Manang – a zero day with an acclimatization hike of your choice. – Thorung Phedi – with an afternoon acclimatization hike. – Thorung La – Early morning ascent of Thorung La and then descent to Muktinath. A similar itinerary should work for your group.